The end of March marks the end of my burger hunt. After 4 weeks of burger hunt and a few pounds heavier (no kidding! ), here are my top 5 burgers! 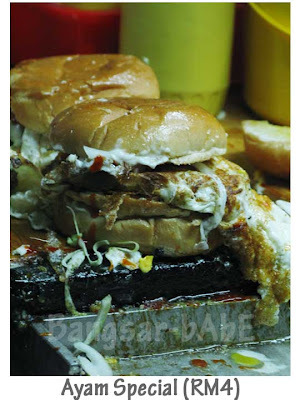 This monstrous assemblage of patty, egg, cheese, onions, shredded cabbage, mayonnaise, chilli sauce and crisp buttered buns takes the lead in this burger hunt. It is by far the sloppiest, most gratifying street burger I’ve had! Brother John’s version is the neatest, and still packs a punch. The use of mustard teases the palate and flavours the patty. Underneath all the neatness, it is every bit as sloppy and delicious! The patty is singed, making it juicy and oozing with flavours. Shredded lettuce instead of cabbage is used to give the burger extra crunchiness. I wished he did an omelette wrap instead of a sunny side up. It would have been nicer! This is a decent burger, but one thing I did not like about it was the overdone sunny side up. 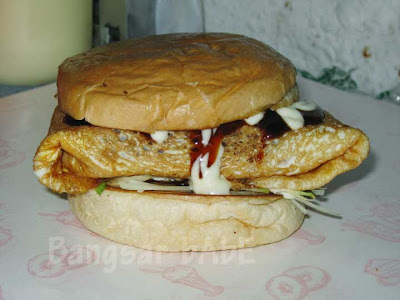 Because the patty was not wrapped with egg, it was not as sloppy – making the experience a little less satisfying. Jackson’s burger is the least sloppy, least greasy and smallest in size. Initially, I thought the patties were homemade, but soon discovered they were from Cold Storage. 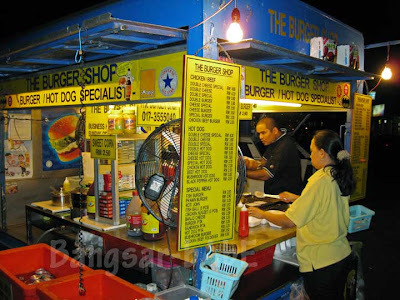 Nonetheless, it is still a decent burger and inflicts the least guilt. 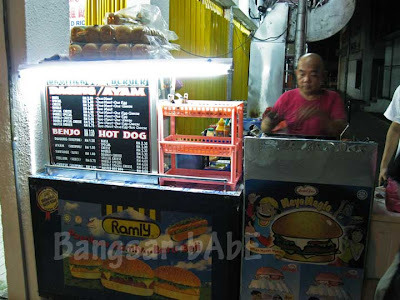 What’s your favourite street burger? 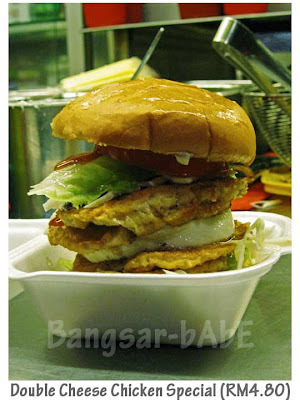 OM burger is the BEST!!! wow..nice summary, article and idea!! you should gather a tour too! 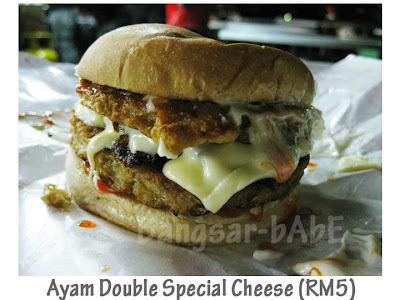 Can…come join me for the next makan hunt lar! yea, whatz next? your burger hunt was really interesting! My goodness that took 1st place! SimpleGirl – Dunno yet, but it will definitely be interesting! 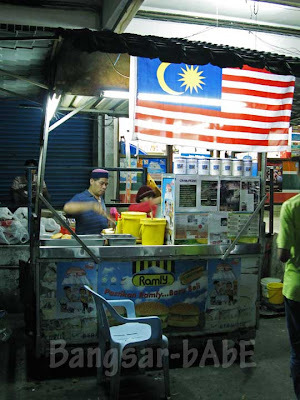 hrmmm, no idea, all the stalls you been I have not tried before..lol..mine I prefer so far is still in section 14 infront of 7-11 nearby the junction of KFC. During nite time only on a small van. 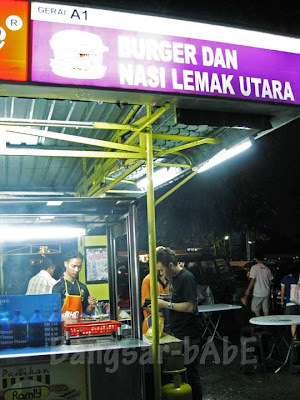 i suggest u try UM KL gate burger.. I know of the esso burger, but have yet to try that. 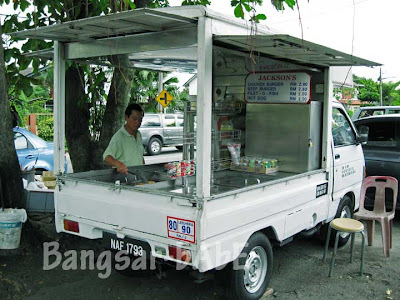 The setia bestari one is new to me…is it near the bukit damansara school? ps – I am so adding you to my Blogroll .. NOW!